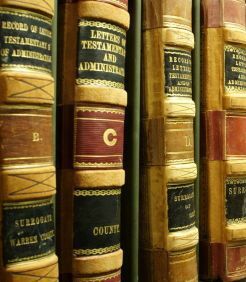 Probate Attorney Dallas - Probate of a Will | The Ashmore Law Firm, P.C. This is the legal process wherein a valid will is probated, meaning the assets of the estate will pass in accordance with the terms of the will to the named beneficiaries in the will. The person who signed the will is known as the testator. It is in this will that the testator named the person who they wanted to collect all of the assets of the estate and make proper distribution per the terms of the will. This person is known as the independent executor. When the will is probated, the court is finding that the will is valid and it was never revoked. There are two (2) different types of probate that can be used when a decedent died with a will. You can probate a will as a Muniment of Title, or you can probate a will and receive Letters Testamentary. An application to Probate must be filed within four (4) years from date of death of the testator. There is an exception, if the person initiating the proceeding can explain why he or she is not in default for not timely filing the will for probate, a probate court may allow the filing of the application. The independent executor must send a letter to all beneficiaries named in the will along with a copy of the will and the order probating the will. For more information on probating a will in Texas, contact us at 214.559.7202.